STRUBEL, Emanuel - On Tuesday, April 10, 2019 at Humber River Hospital. Beloved husband of the late Sala Strubel. Loving father and father- in-law of Paulina Strubel and Czeslaw Zielinski, and Halina Strubel and Vladimir Gorokhovsky. Devoted grandfather of Arthur Zielinski, and Elliot Gorokhovsky. A service will be held at the Mount Sinai Chapel on Sunday, April 14, 2019 at 11:00 a.m. Interment in the Pride of Israel section of Mount Sinai Cemetery. Memorial donations may be made to Toronto General Hospital Foundation, (416) 603- 6278. 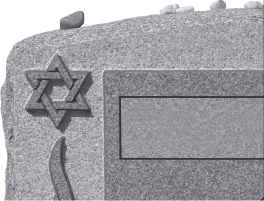 Shiva visits following the interment only, will be held in the Reception Room at Mount Sinai Cemetery. Please click here to view or sign the memorial book for the family of the late Emanuel Strubel.